In many investigations we conducted, we have become aware of a problem, which indirectly affects asset protection, but mainly concerns work safety. The consumption of drugs and alcohol at work. In many companies, there is no sufficient awareness of this serious threat. Comsec was able to convict numerous employees who were using heavy machinery or driving company vehicles under the influence of cannabis, amphetamines, cocaine, or alcohol. In many cases, the drug consumption was financed with thefts at the expense of the company. Comsec offers its clients extensive support in prevention and detection. We use state of the art, calibrated and certified drug-testing equipment, which is also used by authorities to track down drug traces in break rooms, toilets and lavatories. With saliva-based quick test we can provide first findings within minutes. Our drug screenings are conducted by former police officers with extensive experience on narcotics squads. 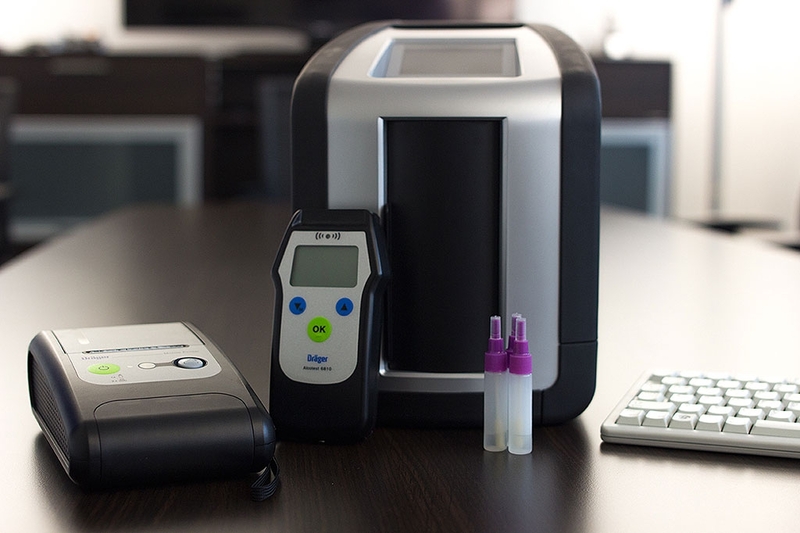 After a positive test result, our cooperation partner, Prof. Dr. Dr. Ruprecht Keller and the nationwide affiliated laboratories conduct an admissible and court-proof urine-test using the latest privacy-protecting marker technology. We offer external and in-house training events with the goal of being able to reliably detect first warning signs of drug abuse in everyday operations. Our service also includes the testing of the company and appropriate certification of a drug-free workplace.